Here at the Gili Shark Conservation Project we love to learn, grow, develop and share. We are super proud that in the last four years we have had the opportunity to explore several different theories through various research methods with the help of our amazing shark warriors who join us from all over the world to commit their time and efforts to assisting our research team. We love sharks and to understand them fully we need to understand their environment and who they share it with. We understand that for sharks to survive they need a healthy environment where pray animals are in abundance and threats are minimal. We know that in most cases sharks are the apex predator and maintain the health of the marine eco system, keeping the balance among pray species, this is why our research is not just based on sharks and shark behavior. We spend our time assessing the coral reefs around the Gili Matra Marine Recreational reserve and studying the marine life found in each zone. 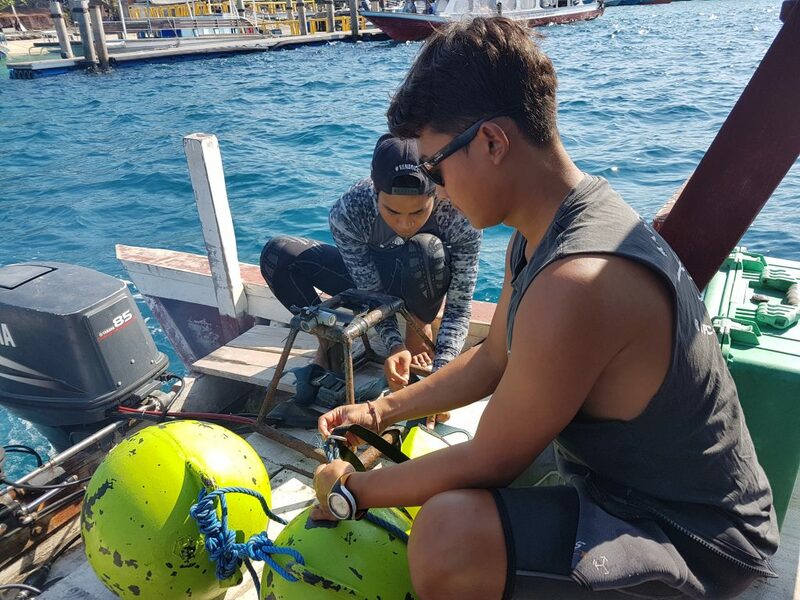 Our marine research methods allow us to analyze the health of each zone within the Marine Protected Area and collect valuable information on what areas need more support and protection. We also check where abundant species are resident and where the key habitats for sharks, rays and turtles are. Over the last years, we were presented with opportunities to study important topics in the world of science which has helped us develop and grow significantly. You can read our technical report of 2018 and our publications below. If you have any questions or would like more information, don’t hesitate to send us a message. We are always happy to help!